Watch & vote for White River! 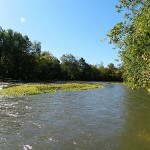 Watch the videos & vote for the Annual White River Cleanup! As we think about all that’s been accomplished this year, our on-water efforts with volunteers stand out as the way most people have come to show their love for White River. 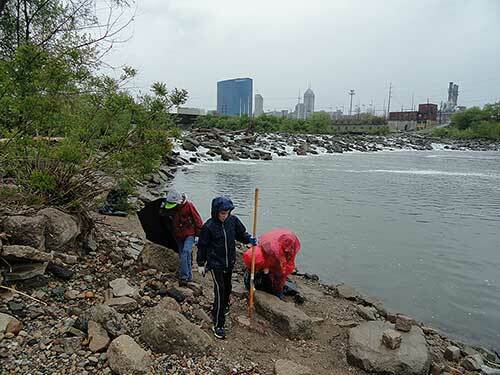 One of the partners each spring in the annual downtown White River Cleanup, Citizens Energy Group, is again giving back to the river. Their participation with employees in what’s called the Super Service Challenge will allow Friends to be part of a giveaway that could bring in from $500 to $1,000,000. 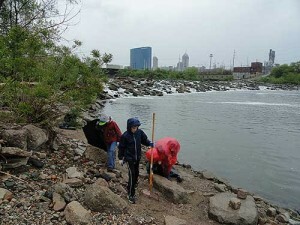 Volunteers clean the banks of White River in downtown Indy every spring. We need you to be a part of this by watching as CEG participants share their thoughts on giving back to the community by being involved with White River! Please share with your friends of Friends today! 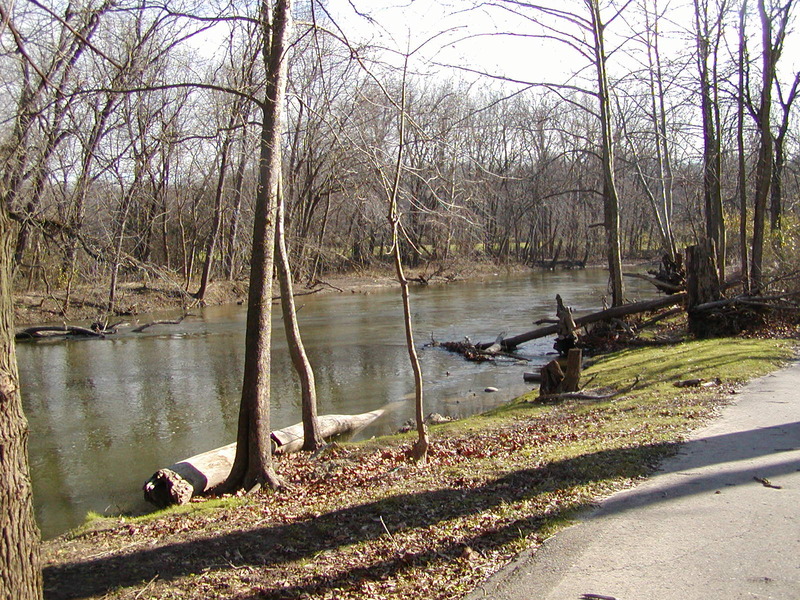 White River at Arden Avenue. Photo by Dan Vallesky. The Warfleigh Levee settlement agreement negotiated by the Friends of the White River recently received a big thumbs-up from local media. In an October 19 article titled “Clear-cut Victory for White River Corridor,” Indy Midtown Magazine took a long look at the settlement and the negotiation process. Thanks to the Friends, “. 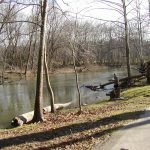 . . the banks along a stretch of riparian corridor in Warfleigh and Broad Ripple will retain vegetation originally slated for removal.” Author Thomas P. Healy went on describe many of the steps of the negotiation process. To read the details, you can download the final settlement (PDF, 483 KB). Have you seen what’s new on the White River Guide app, the Friends of the White River online resource for visiting our favorite waterway? 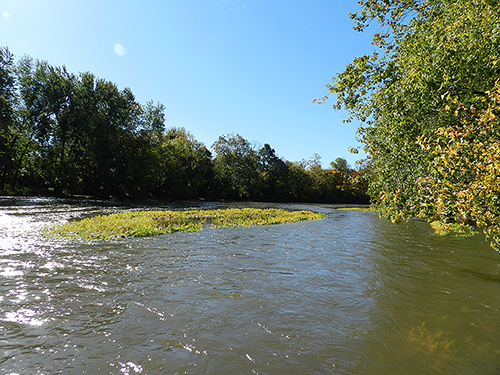 The app now includes a section about Lower Fall Creek, from Geist Dam to the confluence with White River, showing launch sites, nearby amenities, and other features. Check it out!